Implementation of $1.7MIL Business Expansion Loan for Bay and Delta Yacht Charters, LLC Facilitated and Achieved by Rising Bird Inc.
Ali Neesaneh, President and Kim Chea, Vice President of Rising Bird Inc., a creative business financial consulting firm, today announced facilitating the completion of a business expansion and creative development funding for Bay and Delta Yacht Charters, LLC dba Bay and Delta Charters of San Francisco Bay Area. Ali Neesaneh, President and Kim Chea, Vice President of Rising Bird Inc. , a creative business financial consulting firm, today announced facilitating the completion of a business expansion and creative development funding for Bay and Delta Yacht Charters, LLC dba Bay and Delta Charters of San Francisco Bay Area. The capital will be used for expansion of operations and restructuring of existing debt which will help expedite the rapid growth of Bay and Delta Charters while positioning the company for the next phase of expansion. "We would like to greatly thank Ali and Kim for taking the time and effort to understand our business and holding our hands in mitigating all challenges while finding the proper situations to restructure our business finances. They have provided excellent assistance to management in accomplishing our business financial goals, in expanding our business and taking it to the next level. We appreciate all the work that they have done and will continue to have them as our preferred business financial consultants for years to come," quoted Andrea Winslow, Vice President of Bay and Delta Charters. "We are ecstatic to be given the opportunity to participate in taking Bay and Delta Charters to the next level," stated Kim Chea, Vice President of Rising Bird Inc.
Bay and Delta Charters have been in business since 1991. A yacht charter on spectacular San Francisco Bay is more than just a boat rental. Bay and Delta Charters provides individuals and businesses in the San Francisco Bay Area with elegant charter yachts for all occasions - birthday party, corporate event, wedding cruise, rehearsal dinner, or holiday party boat. Their luxury yachts are a memorable way to explore the San Francisco Bay and Delta. Docking is available for yacht charters in San Francisco's South Beach, San Francisco Marina, Sausalito, and Berkeley. They can be contacted at http://www.bayanddelta.com. 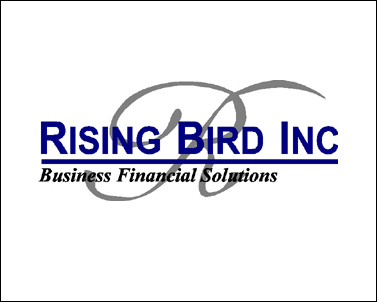 Rising Bird Inc. is a financial consulting firm established for the purpose of helping start-up businesses, expanding businesses, business merger & acquisitions, and commercial real estate owners prepare for success. Rising Bird Inc. offers strategic and creative approaches to help clients reach their financial goals.